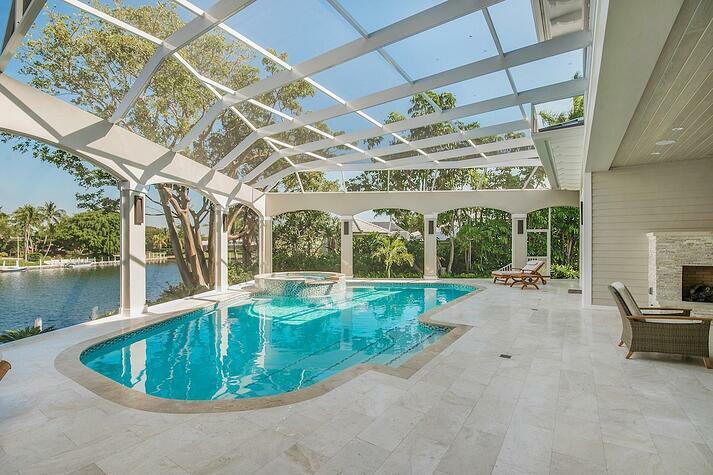 You’re stepping off the plane, thinking about wading in your warm South Florida pool—so you pull out your mobile device, click on an app and adjust the pool temperature. The water will be ready by the time you arrive home. You’re renting your Florida Keys home to visitors during the months you are away. Rather than worry about guests adjusting pool settings (and possibly emptying a gas tank or running up electric costs), you remotely adjust and lock the settings. Wherever you are, you can check in to see if the pool temperature, lights and filtration systems are where you want them to be. You’re entertaining in your outdoor living space, so you use your tablet to turn on an LED light show that changes the pool color. You also can slow down or speed up the flow of water streaming from the pool’s waterfall. Swimming pool automation gives you the control and flexibility to manage pool settings with the click of an app on your phone, tablet or computer. Plus, a pool maintenance provider can gain access to the master controls to monitor efficiency, sanitation and filtration. 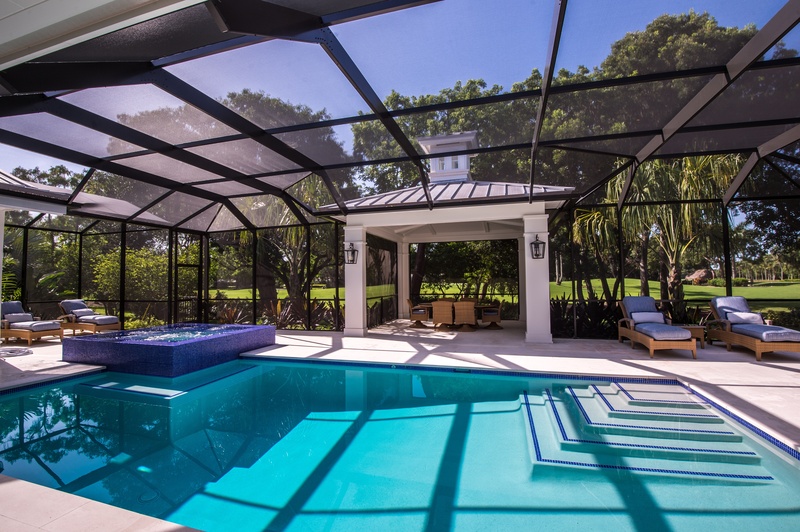 Pool owners gain peace of mind knowing that they can manage pool settings when they’re not at home—and the convenience of using a mobile device to change lighting, water temperature and other features. Here is how today’s advanced swimming pool automation equipment works and why about 98% of our pool and spa owners are adopting this technology. Pool automation involves a master control, where software is downloaded in order to operate pool equipment. The pool owner gets an app to use like a dashboard for controlling pool and spa features. Operating your pool is literally as simple as the tap of your finger. Meanwhile, the cost of pool automation systems has decreased in recent years, ranging from $2,500 to $3,500 for a system. When you figure in the potential energy savings from properly managing pool temperature, lights and other devices, you can easily recover that investment within a few years. Speaking of cost, pool efficiency is a key benefit of using automation technology. You can heat the pool before you use it, and keep the temperature at a maintenance setting while you are away. The ability to control pool and spa temperature remotely is important because if temperature is too high and goes unnoticed for a period of time (ie. while you are out of town or when guests are occupying the space), you can end up with a costly electric bill or need to refill a gas tank sooner than you’d like. With automation, property owners can receive alerts on their phones or computers if water pH or chemical levels are off. This is especially helpful in the commercial pool setting when the population of swimmers can fluctuate and, as a result, so can chemical levels. The system can report chlorine levels and control chlorine output, adjusting the chemical balance of the pool as needed. Certain automation systems, such as CES Becsys, can monitor filter pressure and other variables, giving the pool cleaner important information to do the best job possible. High-end residential pools also benefit from this level of monitoring to ensure a safe, clean pool and spa environment. 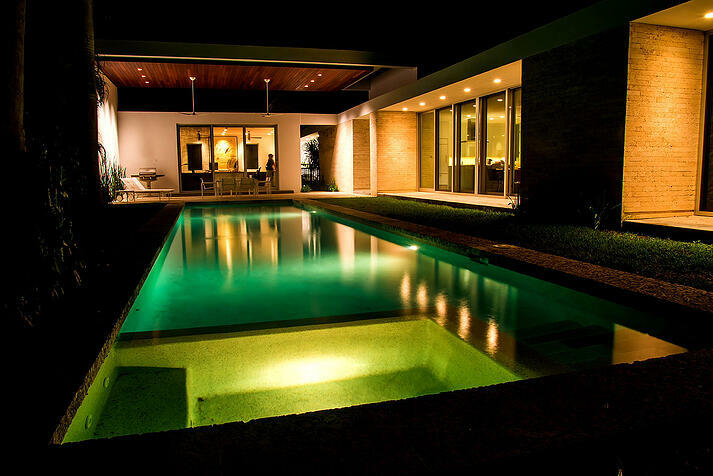 Pool automation is one aspect of the remote technology available to control your entire living environment. Pool automation can be linked to home monitoring systems and other technology on your property so you can operate water features, fire pits, pool pumps, water temperature and lighting with a few taps on the screen of your mobile device. Giving property owners the power to control and monitor their outdoor living environments remotely is not just convenient, it saves cost and creates a more comfortable atmosphere. Monitoring gives pool maintenance professionals a tool to ensure that your pool and spa systems stay in peak condition—and alerts if something goes wrong so issues can be address immediately, before they become big expenses. Wonder how pool automation might change the way you use your pool or spa—or how you manage a commercial pool? Let’s talk about the latest technology available and how homeowners and property managers are using automation to get more value from their pool and outdoor living spaces. Call us any time at 305.367.2005, or fill out this simple contact form and we’ll get in touch with you.